The British cosmetic surgery industry has certainly had a change of face over the last decades. With London acting as the protagonist, the UK based industry is now worth a staggering £3.6 billion, thanks to a myriad of top trends and celebrity endorsed ´non-invasive´ treatments which claim to dramatically change your appearance, whilst allowing you to go home hours later. Unless you live at a top of a mountain, it is hard to ignore the impact and interest that some of these cosmetic surgery treatments have had. One of the most revolutionary of all the procedures that are currently sweeping the capital involves a pioneering type of ´smart-liposuction´ which goes under the name of VASER Liposculpture, operates using Ultrasonic sound waves and can leave you with a body so sculpted that you could well leave the clinic the same day with abdominals. Yes, that´s right – a six pack. However, just how effective is this claim and what are the facts aside from the fantasy? Eminent British based ´top ten´ ranking Cosmetic Surgeon Dr Ashish Dutta sat down with us at his Harley Street clinic to describe the implications and procedures. Dr Dutta can you describe exactly what is VASER Liposuction? 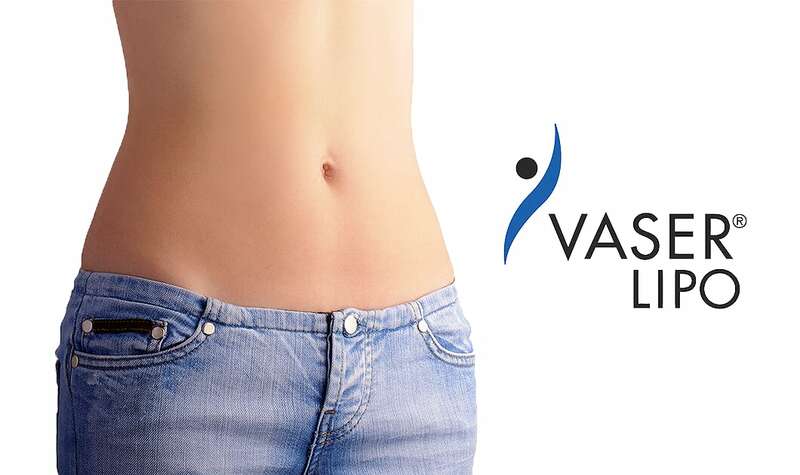 VASER stands for Vibration Amplification of Sound Energy at Resonance which means that the cosmetic surgery procedure makes use of ultrasound technology in order to perform the liposuction procedure. VASER Liposuction is an alternative technology to the traditional liposuction procedure. It is a body contouring procedure that targets the removal of unwanted body fat. It is essentially a procedure by which fat deposits beneath the skin are removed in order to improve the aesthetics and the overall appearance of the body. It is based on the latest technology uses an ultrasound device that liquefies fat before removing it from the body using suction force. How is VASER Liposuction different from traditional Liposuction? VASER Liposuction is also known as Lipo-selection which implies that it is more of a selective fat removal, unlike the traditional liposuction which works on a total fat removal. This type of Liposuction focuses upon targeting the fat cells while still preserving the essential connecting tissues. This helps in attaining smoother results and a better and quick healing process as compared to the traditional liposuction surgery. Also, it is believed that VASER Liposuction is more effective in the treatment of densely fibrous areas such as the back, the post-tummy tuck abdomen, the breasts (male and female), and the areas which have been previously suctioned. The fat cells removed using VASER Liposuction can often be harvested in order to be used for fat transfer in other areas of the body where they are more desirable. VASER Liposuction is also a minimally invasive procedure as compared to other liposuction procedures which means that there is less bleeding or scarring and it also implies that there is speedy recovery as compared to the conventional liposuction procedure. How does VASER Liposuction work? VASER Liposuction uses ultrasound energy in order to melt fat. It is then removed through a thin tube called a cannula. VASER Liposuction uses ultrasound high-frequency vibration to break fat cells apart. This technique makes it easier to remove fat. It is especially helpful in areas with dense and large volumes of fat. How safe is VASER Liposuction? VASER Liposuction procedures have been successfully carried out on patients around the world. The instruments for a VASER Liposuction procedure are much smaller and less invasive as compared to the conventional liposuction procedure. It also uses minimally invasive ultrasound technology so there is less damage caused to the body. Older methods did not have the technology to liquefy fat before removing it from the body which could cause damage to the veins and other delicate organs of the body. With VASER Liposuction, it is now possible to liquefy fat before its removal which makes it possible to carry out the procedure without causing much harm to the body. How much time does the procedure take to be completed? The procedure can take about one to several hours to complete, depending upon the area and the number of areas to be taken in for treatment. Larger bodies and more masses of stored fat will clearly require more surgical time for their safe extraction. What is the average downtime involved? VASER Liposuction is a less-aggressive procedure, which means that there is a faster recovery time as compared to the conventional liposuction procedure. The surgery usually involves 12 hours of rest and 2-3 weeks of avoiding strenuous activities. Since VASER Liposuction is a low impact procedure, less pain is experienced as compared to that in the standard liposuction procedure. Some of the applied local anesthetic stays in the area which helps in minimizing post-surgical pain in the treated area. What are the side-effects of the procedure? The potential risks from ultrasound energy may include burns. Some of the possible side-effects may include bleeding, scarring, skin contour irregularities, nerve compressions, skin necrosis, seroma, fluid imbalance. These are not restrictive and some other complications or side effects may arise, depending on the individual functioning of every person. Is there a risk of bruising, like in the case of traditional Liposuction? VASER Liposuction involves the use of a saline solution, so there is typically less bleeding and bruising. After the application of local anaesthetic, the surgeon fills the area to be treated with a saline wetting solution in order to numb the area and shrink blood vessels. This helps in minimizing the risks of post-surgical swelling and bruising. How long do the results take to appear? Patients are able to see results right after the procedure but the best results start to appear after 5-6 weeks of the treatment. In conclusion, these are some of the most frequently asked questions about the VASER Liposuction procedure. Please bear in mind that one must always consult with a professional Surgeon and discuss the prospective effects on the individual body before getting entering into any type of surgery. Dr Ashish Dutta is a Board Certified Cosmetic surgeon and founder of the Aesthetic Beauty Centres in Newcastle, Sunderland and London; underlining him as one of the few highly trained and accredited surgeons in the United Kingdom. 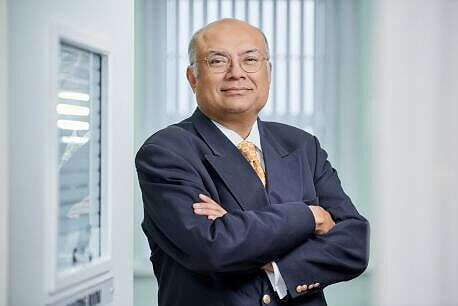 For more information on Dr Dutta and his services, please refer to his personal social media channels on Facebook, Vimeo, LinkedIn and Twitter. Editor-In-Chief, International Fashion Director, Creative Director, TV & Radio Presenter, Journalist, Author and Model - Charles Daniel McDonald has over 22 years of experience within the international fashion scene. The renowned Editor-In-Chief and fashion critic of Contemporary fashion publication FORÇ Magazine presents FashionFORÇ, a prime-time fashion show which takes place every Friday morning from 11:00 – 12:00 on Barcelona City FM.